Welcome to Thanksgiving recipe month! If there's a loose theme to this month's recipes, it's adaptability: how to take other recipes and tweak them in small but smart ways to make them something different. Adapting recipes is one of the easiest ways to be creative in the kitchen. You're not inventing something from scratch--probably fruitless anyway unless your exploring the outer reaches of gastronomy. Chances are your "invention" has already been done by someone else. Instead, why not start with an established recipe and give it your own spin (with due credit to the originators, of course)? I adapted this recipe for these wonderful biscuits from Serious Eats' Quick and Easy Drop Biscuits Recipe. When making this, I accidentally added 1 3/4 cups of milk instead of 3/4 cup. As I was stirring the dough, I thought "wow, this is really soupy for biscuit dough." When I realized the mistake, the best way to solve the problem: double the recipe. I cut it back down to size for the recipe below. 1. Preheat oven to 400 F. Line a baking sheet with parchment paper. 2. 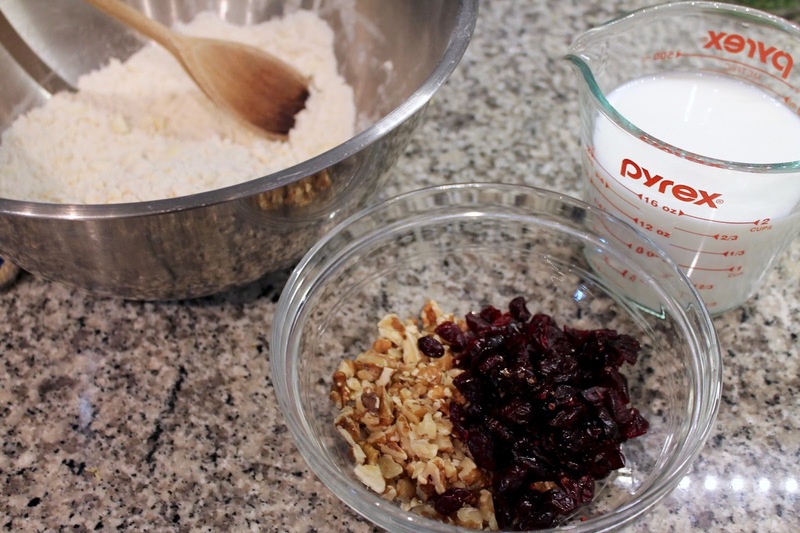 In a large bowl, whisk together the flour, baking powder, and salt. Add the butter and toss with the dry ingredients until coated with the flour mixture. Use your fingers (or a pastry blender) to rub (or cut) the butter into the flour mixture until the mixture has a coarse sandy texture. 3. Add the milk, walnuts and dried cranberries and stir the mixture with a fork until it just comes together into a slightly sticky dough. 4. Using a 1/4-cup measuring cup, mound balls of dough onto the prepared baking sheet, leaving about 2 inches between the mounds. Bake the biscuits until golden brown, about 18-20 minutes. 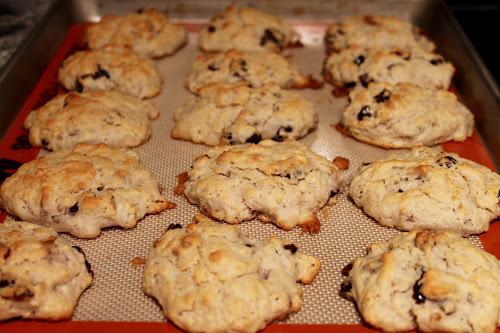 Let biscuits cool slightly, then transfer them to a wire rack. So glad a culinary genius makes mistakes once in awhile. I make way too many! "Culinary genius," wow! You're too kind Nancy. If you're going to make mistakes, the "happy" ones like this are the way to go. I've certainly had some unhappy ones too.